One of your athletes is late for departure – again! You called his cellphone, but he doesn’t answer. You call his mother and she doesn’t answer either. You call his dad and luckily he answers the phone and tells you, that they are stuck in traffic but will be there in just a couple of minutes. 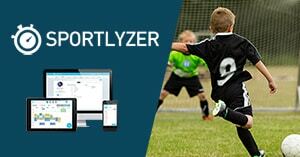 Luckily Sportlyzer keeps all the phone numbers and contact information of your athletes and their contact persons constantly up-to-date. As soon as one of the parents’ email address changes, the update is automatically sent to the Coach Diary on your smartphone. Below you’ll find links to download Sportlyzer Coach Diary for your smartphone or tablet. This way you can keep all the information at your fingertips.